Coming February 3, 2018. Start celebrating Mardi Gras early with the Jolly Jester Jaunt 5K! 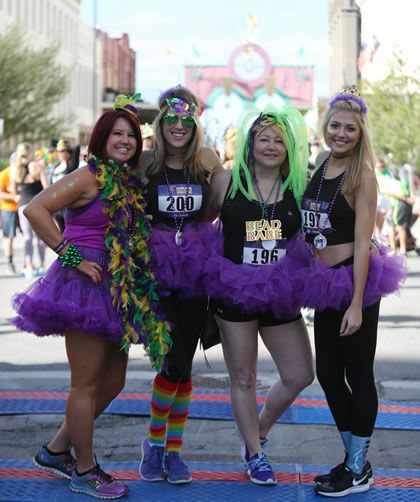 Head to Galveston in the Lone Star State to get a jump on Mardi Gras festivities with this fun 5K race that takes you through four loops of the historic downtown district. It’s open to runners and walkers, and to top it off, you’ll get access to all the Mardi Gras! Galveston festivities after the race. This is the third largest Mardi Gras celebration in the United States, and there will be plenty of parades, bands, floats, revelry, and beads from February 2nd through the 13th.